Vladimir Putin was sworn in on Monday for a fourth term as the Russian President after winning the election held in March. The 65-year-old, who has been Prime Minister or President for 18 years, took the oath of office in the St. Andrew Hall at the Grand Kremlin Palace, reports TASS news agency. Putin’s first six-year term began in 2012 while the second will end on May 7, 2024. According to Article 81 of Russia’s Constitution, an individual cannot serve as President for more than two consecutive terms. The presidential election was held on March 18. The voter turnout was 67.54 per cent. Putin won, gaining 76.69 per cent of the vote, in his best ever election performance, with over 56.4 million people voting for him. “I believe that peace in a prosperous Russia is my obligation and meaning of life,” Putin said after officially taking office. 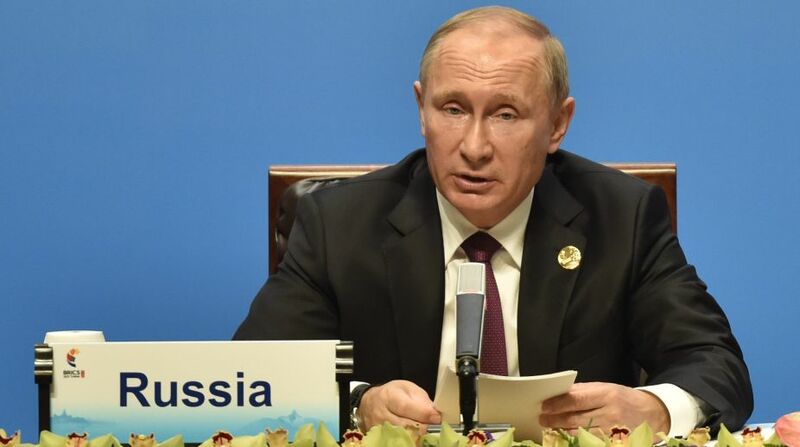 “I believe it’s my duty to do my best for Russia… We should develop in areas we have always been strong as well in the areas we haven’t done enough. We have many decisions we have to take. “This year marks 25 years of the Russian constitution… We should change as the history changes, at the same time, we should stick to our roots, our history,” he said. The President noted that Russia needed to develop in all sectors, which could be ensured only by a free society, reports Sputnik. On Saturday, riots took place across Russia against Putin’s rule. More than 1,000 people including opposition leader Alexei Navalny were arrested. When Putin reaches the end of his fourth term in 2024, he will have been in power for nearly a quarter of a century, still falling short of Soviet dictator Stalin’s 31 years in office.